The existence of Alien life is one of the universe's biggest mysteries and, of course, the most prevelant theme in most science fiction movies. Now that technology has advanced, the notion of exploring the far corners of space don't seem that far out of reach anymore. With news being reported everyday of new galactic discoveries, plans of daring space travel, and plausible scientific theories, we have become obsessed with outerspace for both scientific and philosophical reasons. In fact, CNN reported recently that another planet similar to Earth has been discovered. The rocky planet called Proxima-B may be warm enough to have water and maybe even life itself. It's currently orbiting a neighboring star of our Earth's sun. Meanwhile another rover is getting ready to set down on Mars. While sci-fi is strictly fictional, it is usually based on some sort of truth. You know, the films that scare us a bit and make us question the importance of our own existence. 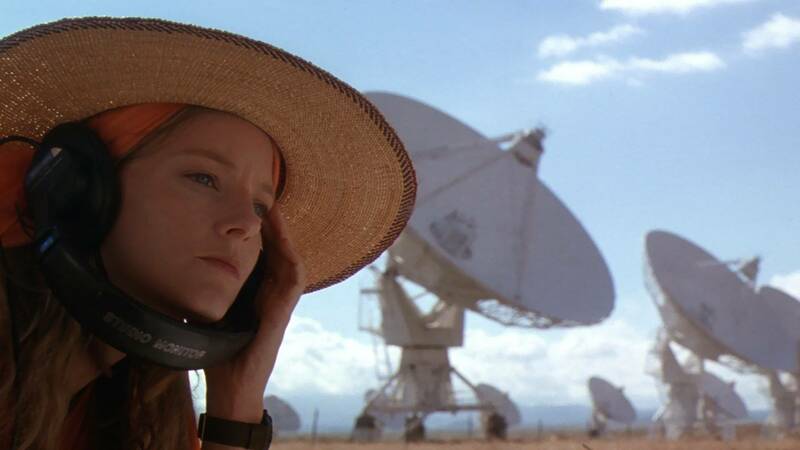 Contact starring Jodie Foster was a film that explored extra-terrestrial communication and was more realistic than any comparable sci-fi film we have seen before. The 1997 film is based on the book by the most renowned astronomist of our time, Carl Sagan. He heavily studied communications and made many historical contributions to the field. Contact follows Dr. Eleanor "Ellie" Arroway, a SETI scientist who finds strong evidence of extraterrestrial life and is chosen to make first contact after building a machine that was communicated to her through a repeating signal and prime numbers. The signal also contained a video of Hitler, the first broadcast strong enough to reach the outer limits of space. We wont spoil the movie for you if you haven't seen it, but we promise that it will open your mind up to the possibility of extraterrestrial life. The storyline was believable and at any moment any scientific organization could realistically recieve a "signal". 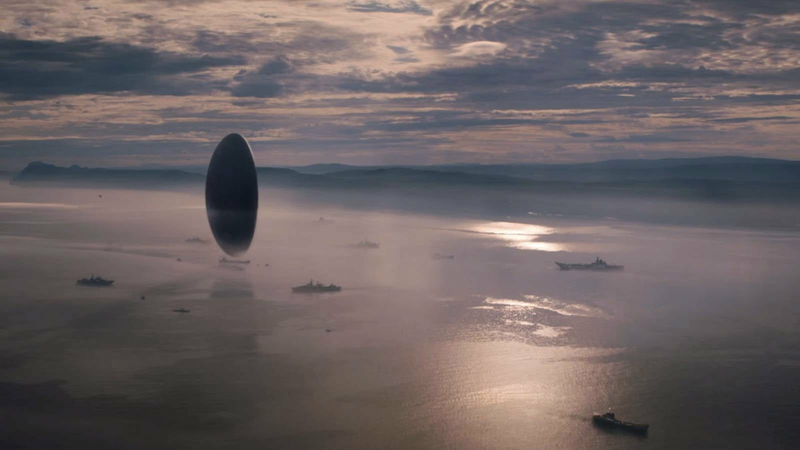 Arrival starring Amy Adams as an expert linguist is similar to contact in that it deals with communication with extraterrestrials in a very realistic, plausible way. Arrival follows brilliant linguist Louise banks (Amy Adams), whose life takes a heartbreaking tragic turn. That personal hardship is quickly forgotten, however, when the earth stops to witness the arrival of alien life to our planet; twelve ships land at twelve seemingly random locations across the globe, and the result is a combination of scientific curiosity, military paranoia, and mass panic amongst the populace. With the world hanging by the thread of her skill set, Louise pushes herself to translate what the strange alien beings are trying to tell humanity, before humanity tears itself apart in xenophobic fear. However, the more progress Louise makes, the more she realizes that communicating with these beings may come at a cost that's hard for the human mind bear. As the aliens' strange language begins to flood her mind with memories, she begins to wonder if she can endure the translation process long enough to save the planet. 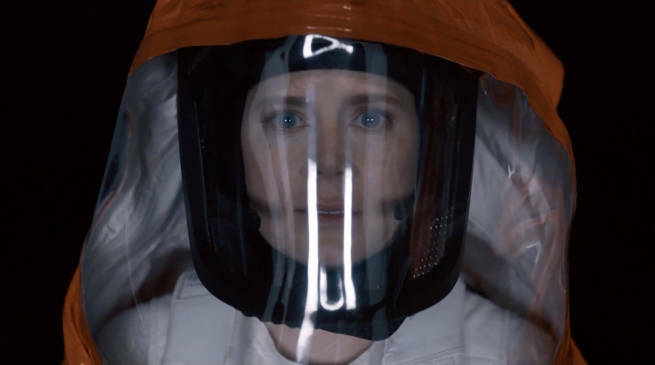 Arrival is the latest film from Denis Villeneuve, the acclaimed director of films like Prisioners and Sicario, and it proves the filmmaker is as versatile with his talent as, say, Ang Lee. Whether it's mystery, crime drama, or (in this case) sci-fi, Villeneuve knows how to blend genre conventions with deep character drama in a truly "thrilling" way. Arrival is at once a mind-f*ck and an emotional punch - one that just so happens to keep you on the edge of your seat the entire time. The Martian didn't even present itself like a science fiction film, instead it was more of a documentary of how man survived on another planet after being stranded and planting a ton of potatoes and managed to keep a sense of humor. 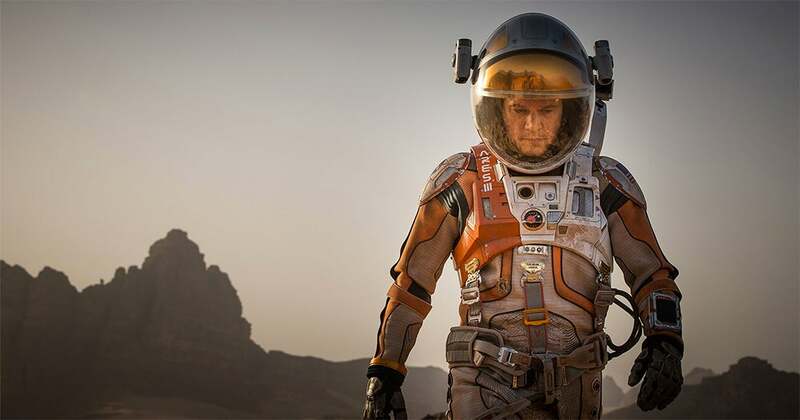 Directed by the legendary Ridley Scott, The Martain won many awards including the Academy Award for Best Picture and Best Actor while gaining critrical praise. The film was a realistic tale of ingenuity, hope, and the human instinct for survival on a planet that we have been exploring for years. Plagues and infectious diseases are all around us, especially with the recent outbreak of the dangerous Zika virus and the terrifying West African Ebola outbreak in 2014 that fed the entire world with utter fear. 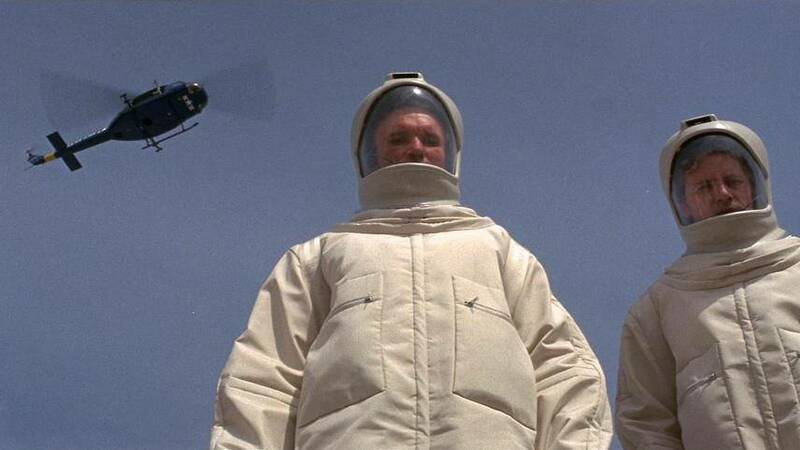 In The Andromeda Strain, based on the novel of the same name by Michael Crichton, the infectious disease is from outerspace. World history is full of plagues and viruses that wiped out entire populations, before modern medicine discovered vaccines. The idea of a fast-spreading infectious disease is a very real and potential epidemic. Does it matter where the virus comes from? In most cases the original source is still undiscovered. Did anyone ever figure out the mystery behind those darn crop circles? Was it aliens or...what? 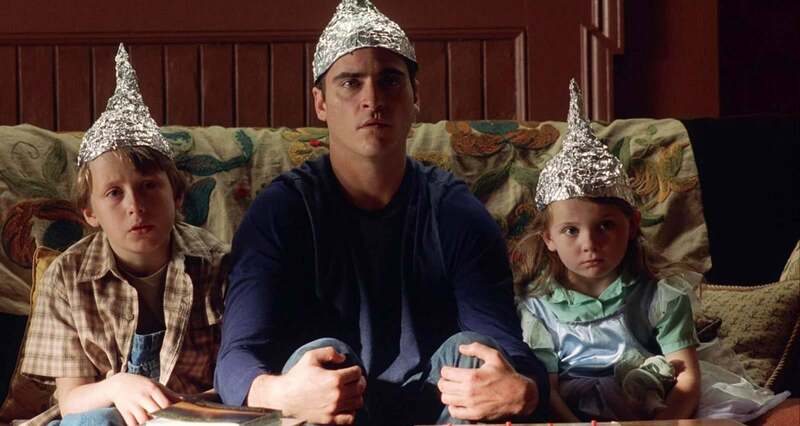 Back when M. Night Shyamalan was still the master of shocking plot twists, he made one terrifying film called Signs (2002), that hit a little too close to home. In fact, Graham and his brother chase a tall, dark alien figure off of the roof of their old farmhouse, but this happens before the Aliens actually enter their home. For anyone that has seen this movie, the image of the Alien walking down the street in a suburban neighborhood is probably burnt into your mind forever. M. Night took a real unexplained phenomenon and turned it into a terrifying yet realistic sci-fi movie that chilled viewers to the core.